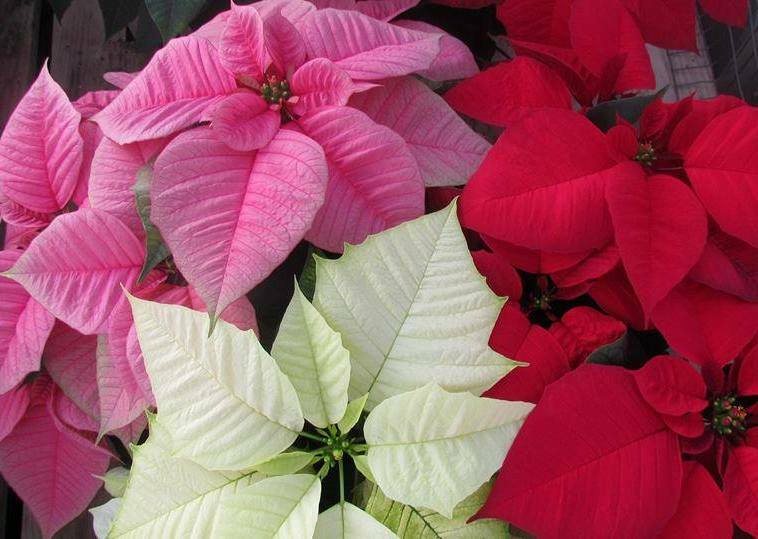 It is a beautiful time of the year at Dutch’s Greenhouse in our greenhouse, which is alive with an array of colorful poinsettias! 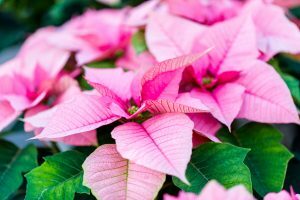 We have been growing poinsettias for close to 40 years and are considered one of the premier growers in the area for high-quality plants for your Christmas gift-giving, or for decorating your office and homes to reflect the spirit of the season. We have 12 varieties of red, white, pink and other exciting varieties for our customers to choose from. We have been carefully tending some of these plants since April, which is when they first arrive. We also grow many of our plants from cuttings, which are placed in oasis and kept moist until they are rooted enough for us to pot them, which usually happens in August. Poinsettias are easy to take care of. They just need some bright light away from cold windows and drafty areas, and then water them when the soil appears to be dry or if you notice the leaves drooping. The bright petals, which look like flowers are actually the upper leaves, called bracts. The flowers are small, inconspicuous green or yellow in the center of each leaf bunch. They are the most popular of the holiday plants. They are native to southern Mexico and Central America. Euphorbia pulcherrima is their botanical name and it means “the most beautiful euphorbia”. Named after Dr. Joel R. Poinsett (former US Ambassador to Mexico), who introduced them to the United States. They are not poisonous as people thought for many years. 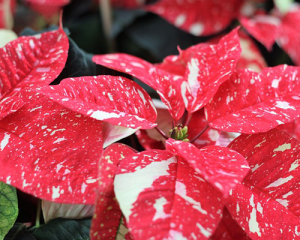 Known by other names such as “Christmas Flower”, “Lobster Flower”, and “Mexican Flame Leaf”. December 12th is National Poinsettia day, to honor the passing of Dr. Poinsett. Prized by ancient Aztecs (Mexican Indians) as a symbol of purity. 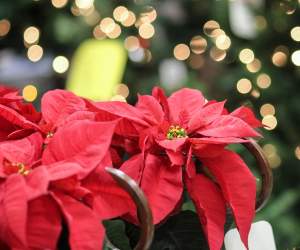 There is a Mexican legend that tells how poinsettias came to be associated with Christmas. A child who could not afford a gift to offer Christ on Christmas eve picked some weeds from along the roadside. This child had been told that any humble gift, given in love, would be acceptable in the eyes of God. When the child brought them into church, the weeds bloomed into red and green flowers and the church members said that they witnessed a Christmas miracle. Since the poinsettia is most associated with gift-giving and Christmas, you may want to come and pick one out as a gift for a family member, friend, co-worker, neighbor, or anyone else who has played an important part in your life. We offer area-wide delivery in the Wichita area. Happy Gardening from Dutch’s Greenhouse!